I flip through Pinterest and magazines and see all of these beautiful design ideas. I love to browse at Kohl’s, Target, and more in the home goods section. I am a dreamer. That is just who I am. 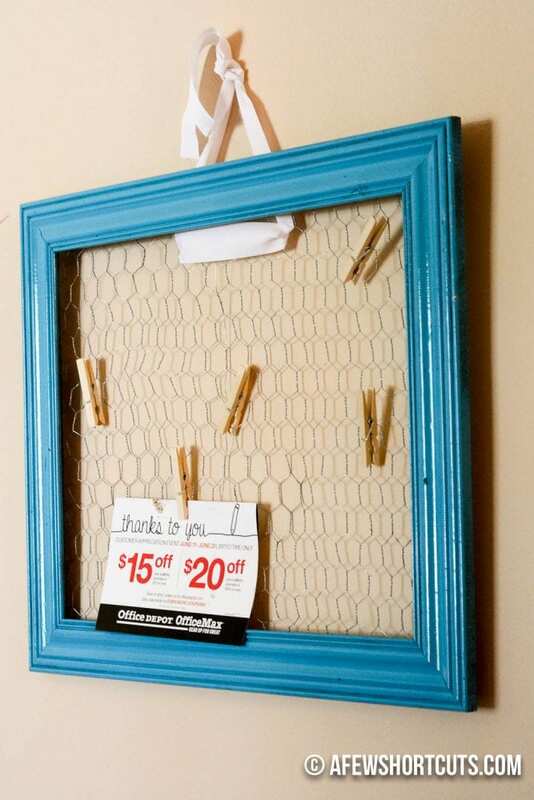 With 3 kids and a budget I can’t afford to drop $35 on a cute Chicken Wire Bulletin Board just because I want one. That is a pair of shoes….or a couple days worth of groceries. BUT I really wanted one for my office. SOOOO bad!!! They are so cute! I finally decided to go digging around in the garage and see if I could make one on my own. Lucky for me, I had just about everything I needed but a spare frame. So I hit the thrift store. I found this hideous thing…some might call it art. Me…not so much. But it popped right out of this wooden frame, so I was happy! 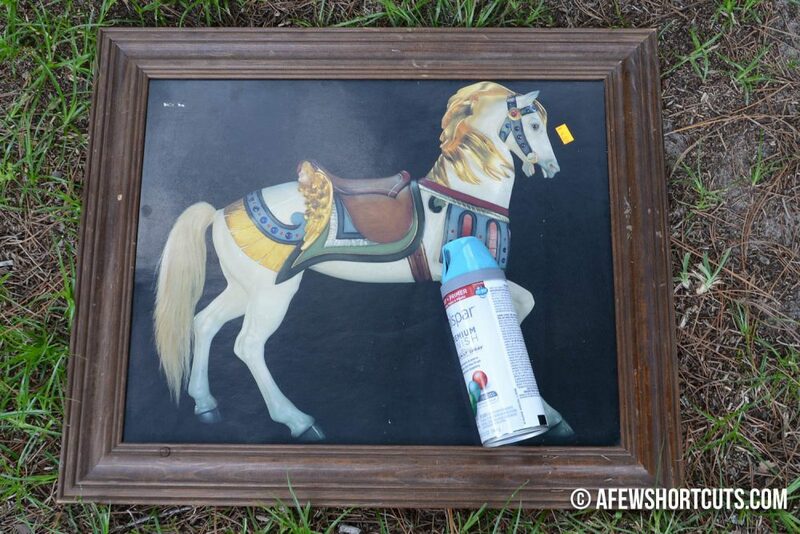 I wiped the frame clean and spray painted it. 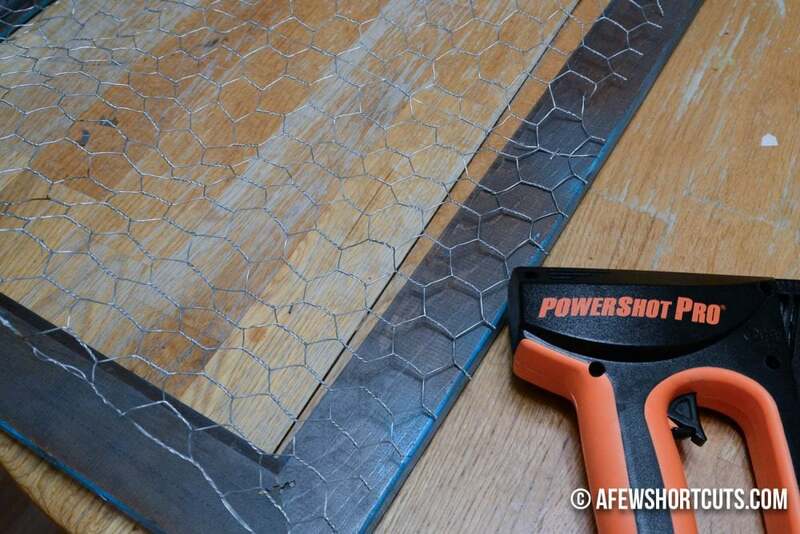 Once it was dry I pulled out my chicken wire. I got lucky and had some in the garage. I laid it across the back of the frame and using my wire cutters cut it to size. I wanted it to cover the back but not hang over the edges. Once it was cut to size I used my staple gun to secure it to the frame. I started with the centers of each side and worked my way out. 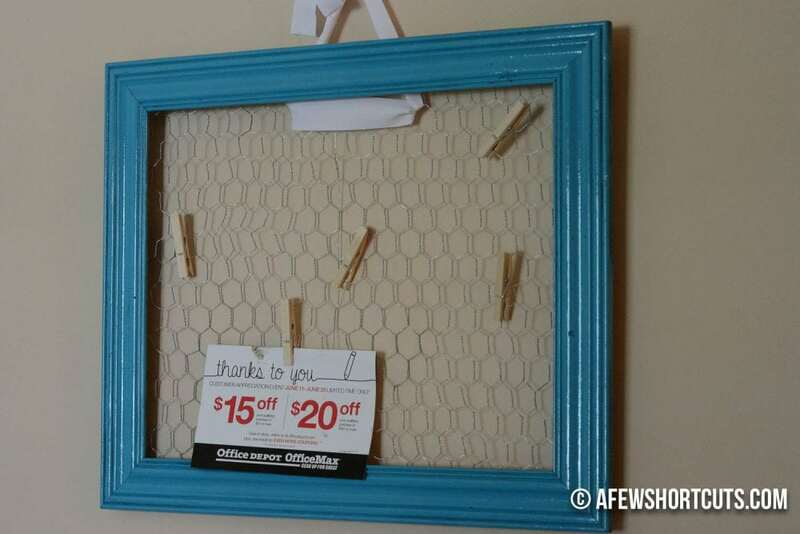 My frame was missing a picture hanger on the back. I could have bought one and attached it but I thought it added to the cuteness by using a piece of ribbon to hang it threaded through the chicken wire. This works really well for a couple of reasons. #1 I can thread it through the center and it helps balance the bulletin board out. 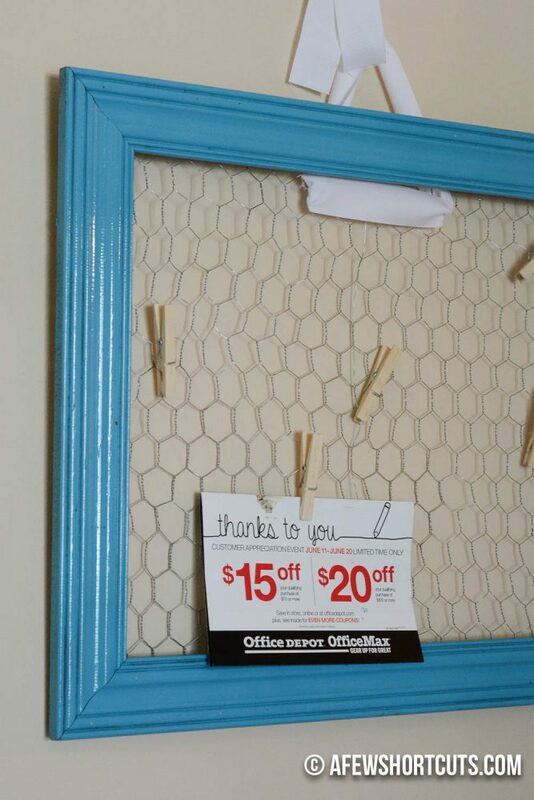 After I hung up my frame I attached some old clothes pins to hold my coupons, notes, photos, etc. I have to say I have been wanting one of these for quite a while. If I would have known I could make one for the cost of a $4 frame and some paint instead of the $30+ price tag at the store. I would have done it a LONG time ago!